A MK2 canoe with Major Hasler & Captain Stewart showing paddling styles in the Solent, c1943. This A MK2 canoe with Major Hasler & Captain Stewart showing paddling styles in.. Magnet is created using state of the art, industry leading Digital printers. The result - a stunning reproduction at an affordable price. 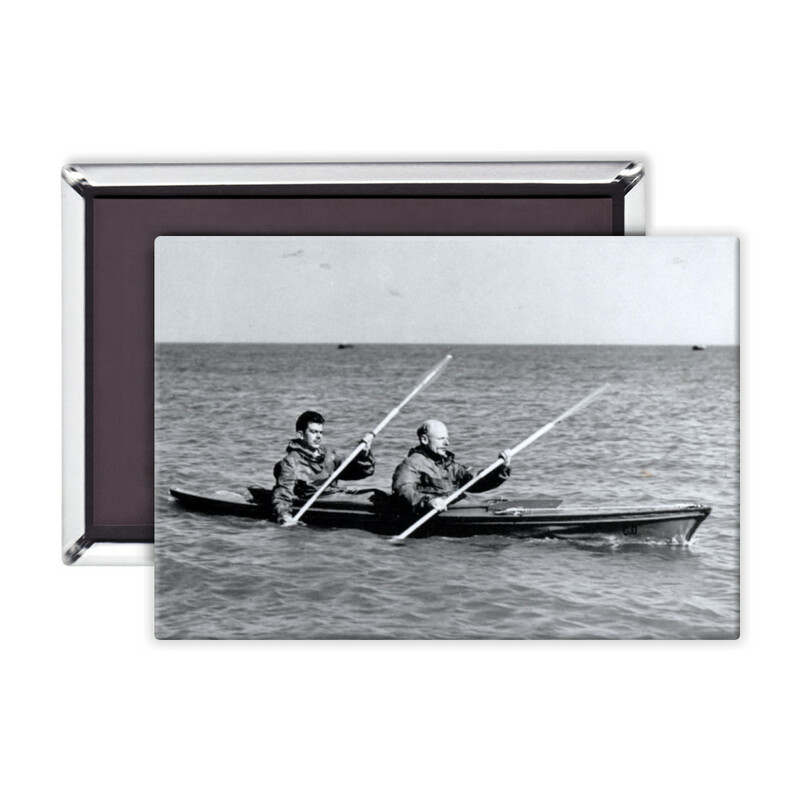 A MK2 canoe with Major Hasler & Captain Stewart showing paddling styles in..